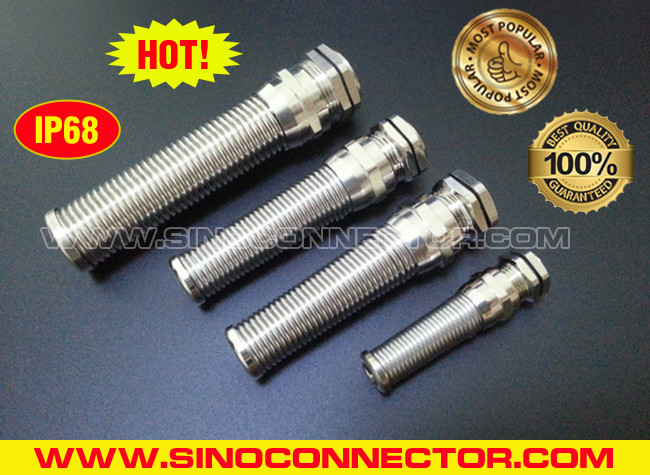 Brass PG Cable Glands IP68 / IP69K with Stainless Steel Protector provide excellent cable protection against excessive twist at the bending point to reduce the risk of break to avoid electric leakage. 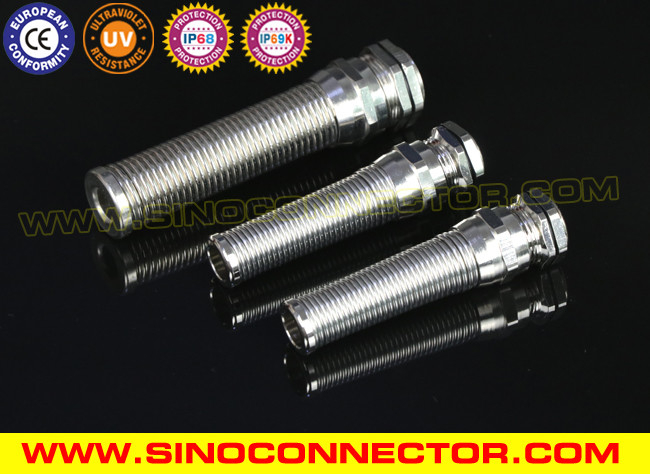 Having the key features of strong tensile strength, high sealing performance, good security and stability, sustainable submersion and long service life, they are widely used for connecting and fastening flexible cables on electrical equipments, moving machineries, telecommunications, network communication, automatic control, power supplies, switches, motors, distribution boxes, solar PV modules, surveillance cameras, plant engineerings, installations, meters and instruments, etc. (1) Competitive prices from direct factory. 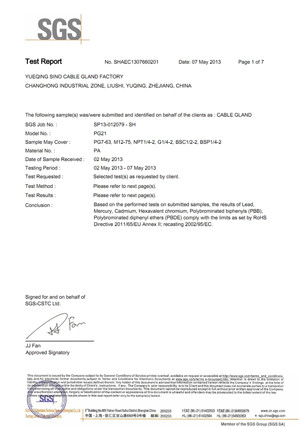 (2) All our products are friendly to earth (green products). 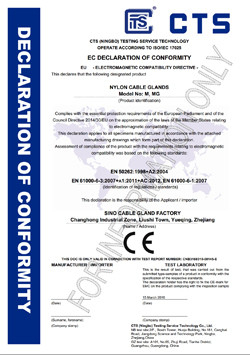 (3) High quality ensures long service life for indoor and outdoor applications. (4) All our cable glands reach IP68 waterproof protection. (5) Timely delivery and good services are our principle. 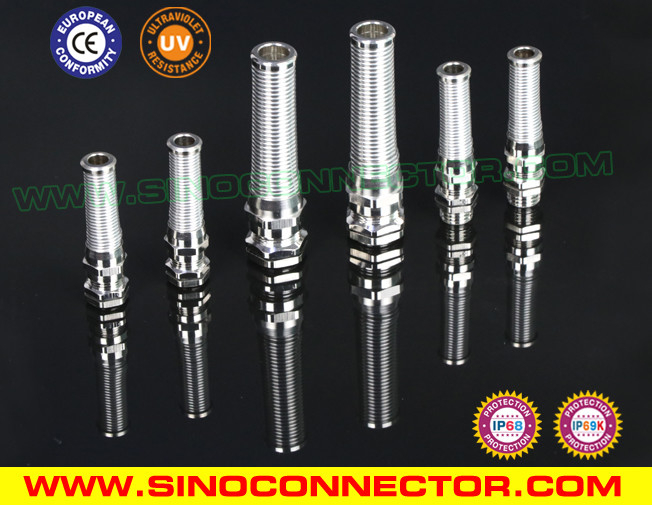 (7) Special cable glands will be custom-made according to customer's original samples or drawings. (8) OEM services can be available.